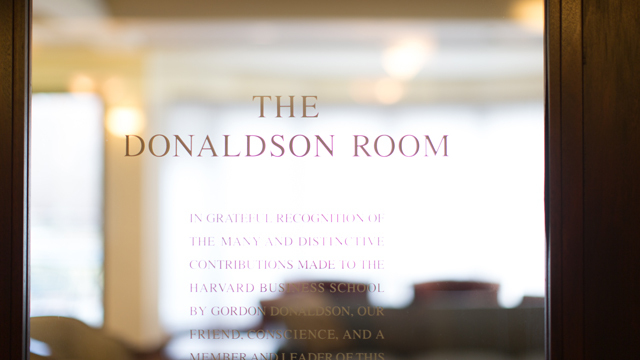 The Donaldson Room was named to honor the service of Professor Gordon Donaldson. 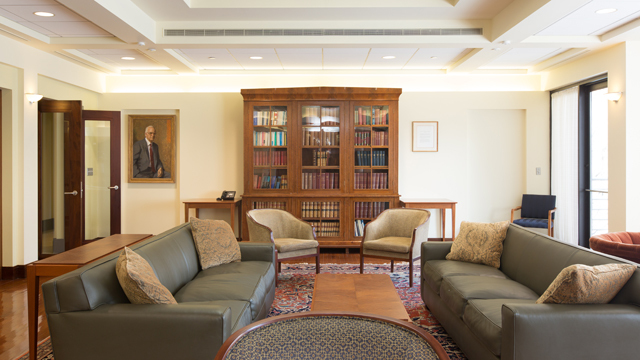 The Donaldson Room in Cumnock Hall was dedicated in 1993 upon the retirement of Gordon Donaldson. A native of Canada, he was an influential Harvard Business School professor, mentor, researcher, and administrator from 1955 to 1993. An expert in corporate financial management, Donaldson held the Willard Prescott Smith Professorship of Corporate Finance. 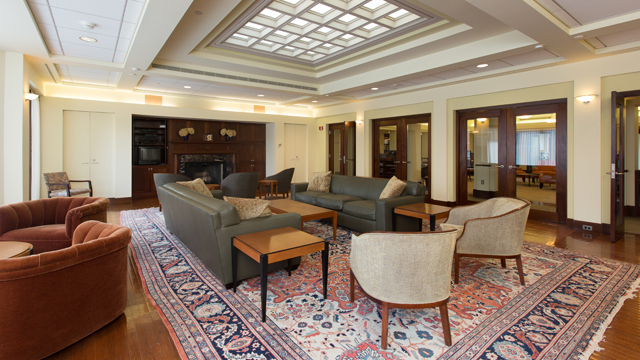 Donaldson’s pedagogical reach extended across Harvard Business School’s MBA, Doctoral, and Executive Education Programs. His involvement in executive education included two stints in the School’s middle management programs, a year as head of a program for senior managers that then took place in Switzerland, and a six-year assignment in the Owner/President Management Program for entrepreneurs that ended upon his retirement in 1993. In addition to his teaching, a decade-long study of 12 mature industrial corporations led to two important books in the 1980s, Decision Making at the Top: The Shaping of Strategic Direction and Managing Corporate Wealth: The Operation of a Comprehensive Financial Goals System. He was a wise mentor to many young faculty members attempting to navigate their way through the promotions process at HBS, and possessed remarkably good judgment. Over the years, his advice was sought out by successive deans on matters of great importance to the School. 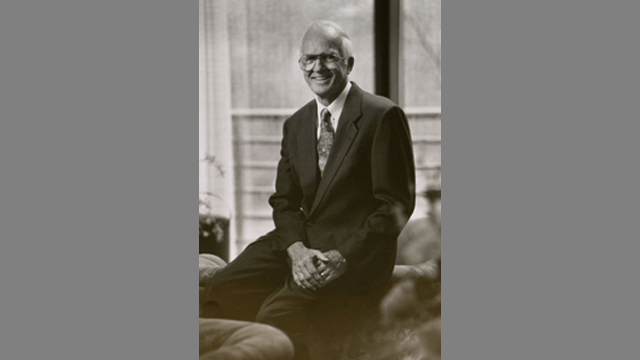 In 1995 Dean John McArthur used an endowment raised by the MBA Class of 1963 to establish a professorship in Donaldson’s honor.